Rackety’s was set up to fill the gap when the regular clothing you find on your high street ,at the supermarket online or wherever you normally shop, just doesn’t work for a family who have a child or an adult with additional needs. When we started, we naively thought that it would be predominantly children and adults who are wheelchair users that would have the greatest need for adapted clothing, however it turned out that incontinence and behavioural differences topped the list of our customers’ requirements by a mile. Over the years we have gradually changed the product mix we offer, based on your feedback and comments. We know that disabilities come in many combinations and that we have sent our products out to customers with well over 300 different disabilities and still counting, and to over 20 different countries worldwide. The needs of our customers are the same, wherever they live. 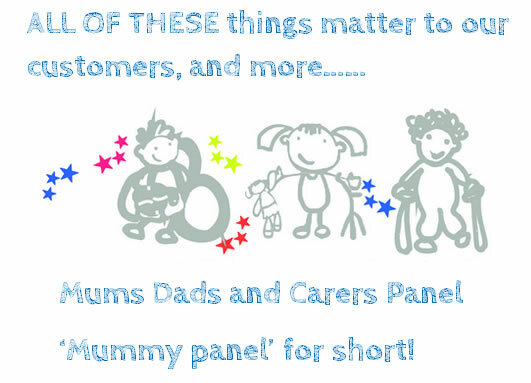 Thanks to your support in filling in our surveys to find out the things that matter to our customers we know that the comfort, saving time, quality and the appearance of the people you care for is extremely important to you. What is important to Rackety’s customers? We have learnt everything we know about the clothes you need, and the other things you find it difficult to get hold of by asking the people who know best. The Mums, Dads, sisters and brothers and the carers who are on the frontline of looking after children or adults with special or different needs every single day. Rackety’s helps you with simple daily dressing, staying clean and comfortable every day. When we say ‘get dressed not stressed’ we mean it - and know that little details make a big difference to our customers lives. Warm: Temperature control is quite often not as effective for our customers who will heat up or feel the cold either quicker or to a greater extreme. To manage this and stay at a comfortable temperature, we supply outerwear that is easier and quicker to get on and take off, and soft natural 100% cotton vests to cover up the gaps when you are moving or handling a child or adult, keeping their backs warm and preventing everything from un-tucking and coming apart. Dry: Damp chests caused by uncontrollable drooling, can lead to infection and general discomfort. We now have a wide variety of age appropriate options to help your child or the person you care for to stay dry and fresh and clean. Keeping dry when out in a wheelchair can also be overcome with our easy to use outerwear garments, designed to put on and take off with minimum disruption. Comfortable: As so many of our customers are on the autistic spectrum we have been removing the labels from as many of our products as possible and replacing them with a printed alternative. We realize that a scratchy label can be a major deal for sensitive customers. Habit breaking: If you are struggling because your child or the person you care for has developed a habit of putting their hands in their nappies, wriggling out of their clothes or tugging on their gastrostomy tubes, we understand the consequences can be distressing, and sometimes have a serious medical impact. There is NO guarantee that our products will work for you, however we know that our vests and pajamas have helped thousands of families to reduce these problems and sometimes remove the problem altogether. Taboo: Over time it is clear that some of the habits and behavior many of our families live with can be subjects not always easy or comfortable to discuss in every day conversation. Bedwetting, smearing, stripping or worse can be distressing and isolating when a family first find they need to cope with it. However these problems are very common and we are dealing with them every day, it is not as unusual as you think and we can often help. We try to use plain language to discuss the problems head on – and believe in opening up the subject to remove the stigma and reduce the taboo. 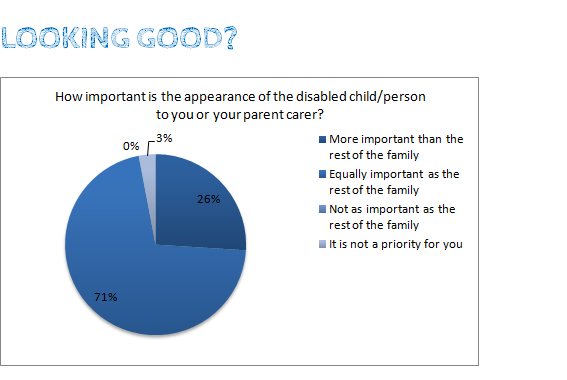 Looking good: We asked our customers how important the appearance of their disabled child is compared to the rest of the family. Over 25% said it was more important to them and 71% said it was equally important. Every product that Rackety’s develop or add to their site is chosen with this in mind. We firmly believe that good quality age appropriate design is the start point for any specialist product . Free Advice: We have become very experienced in helping our customers with all sorts of dressing problems and if we are unable to help quite often find that we know someone else who can, and are happy to recommend another source of help.